Almost a decade ago, I tried to place a bet with a leading UK betting shop that I would die within a year. They should have taken the bet - I am still alive. Gambling tools such as dice date back millennia - perhaps five thousand years in Egypt. Insurance may be equally old. The Code of Hammurabi - a law code from Babylon, in what is now Iraq - is nearly 4,000 years old. It includes numerous clauses devoted to the topic of "bottomry", a kind of maritime insurance bundled together with a business loan. A merchant would borrow money to fund a ship's voyage, but if the ship sank, the loan did not have to be repaid. Then, in 1687, a coffee house opened on Tower Street, near the London docks. Run by Edward Lloyd, it was comfortable and spacious, and business boomed. Patrons enjoyed the fireside tea and coffee, and - of course - the gossip. There was much to gossip about: London's great plague, the great fire, the Dutch navy sailing up the Thames, and a revolution which had overthrown the king. But above all, the inhabitants of this coffee house loved to gossip about ships: what was sailing from where, with what cargo - and whether it would arrive safely or not. And where there was gossip, there was an opportunity for a wager. The gentlemen of Lloyd's would have had no qualms about taking my bet on my own life. His newsletter became known as Lloyd's List. Lloyd's coffee house hosted ship auctions, and gatherings of sea captains who would share stories. If someone wished to insure a ship, that could be done too: a contract would be drawn up, and the insurer would sign his name underneath - hence the term "underwriter". 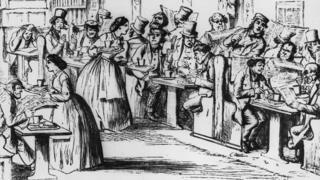 It became hard to say quite where coffee-house gambling ended and formal insurance began. Eight decades after Lloyd had established his coffee house, a group of underwriters who hung out there formed the Society of Lloyd's. Today, Lloyd's of London is one of the most famous names in insurance. Alpine farmers organised mutual aid societies in the early 16th century, agreeing to look after each other if a cow - or child - fell ill. While the underwriters of Lloyd's viewed risk as something to be analysed and traded, the mutual assurance societies of the Alps saw it as something to be shared. And when the farmers descended from the alps to Zurich and Munich, they established some of the world's great insurance companies. Risk-sharing mutual aid societies are now among the largest and best-funded organisations on the planet - we call them "governments". Providing insurance is no longer a mere money-spinner for governments. It is regarded as a core priority to help citizens manage some of life's biggest risks - unemployment, illness, disability and ageing. That is a shame, because there is growing evidence that insurance doesn't just provide peace of mind, but is a vital element of a healthy economy. A recent study in Lesotho showed that farmers were being held back from specialising and expanding by the risk of drought - a risk against which they couldn't insure themselves. Image caption The Red Cross has called Lesotho's current water shortages "the worst drought in a lifetime"
Derivatives are financial contracts that let two parties bet on something else - perhaps exchange rate fluctuations, or whether a debt will be repaid. They can be a form of insurance. The ability to buy derivatives lets companies specialise in a particular market. Otherwise, they would have to diversify - like the Chinese merchants four millennia ago, who didn't want all their goods in one ship. The more an economy specialises, the more it tends to produce. But unlike regular insurance, for derivatives you don't need to find someone with a risk they need to protect themselves against. You just need to find someone willing to take a gamble on any uncertain event anywhere in the world. It is a simple matter to double the stakes - or multiply them by a hundred. As the profits multiply, all that is needed is the appetite to take risks.